With a sweet gaze, Tahereh Jabbarianha speaks calmly and replies kindly. There’s confidence in her character; perhaps because behind her pure gaze, lies firm determination and a lasting promise. I was born in Tehran in 1960. I grew up in a big family with six sisters and one brother and I am the sixth child. I had a twin sister named Tayyebeh whom I have always shared a very special bond with ever since childhood. I have my son, Ehsan Samimiha, here in the Iranian Resistance with me. Our family was introduced to the struggle in 1973 through my brother, Hojatollah Jabbarianha. He had already started a secret campaign against the Shah’s regime as a member of the People’s Mojahedin. At the time, I was only 13 years old. I remember once I accidentally came across a photo of Mehdi Rezaii, one of the young revolutionaries of the time, hidden underneath one of the rugs in our house. Seeing this photo both triggered surprise and fascination. I never told anyone about it, but I immediately sensed the resistance’s desire germinating within me. Shortly afterwards, following my brother’s arrest, I found myself alongside my mother looking at my brother through prison bars where he constantly reminded her to be strong and resilient like Mother Rezaii. These were the critical moments which have forever instilled in me the pride of resistance and the values derived from it. Then arrived the revolution in February of 1979. Those were exhilarating days; the streets of Tehran took on a different look. The nights were the most memorable. Our family got together every night and my brother gave us instructions on how to participate in the rallies as well prepared and planned as possible. Each and every one of us six sisters, determined and united, joined the people and militants on the streets, as if water droplets joining a vast sea, becoming one with the slogans and movements. Soon after the revolution, Tahereh Jabbarianha and her family endured great pressure and suffering under the rule of the mullahs like thousands of other families. The 1980s brought a decade of fire and bloodshed in Iran. For us, who supported the PMOI/MEK, there were barely any homes considered “safe” from the relentless onslaught of regime’s forces. Hence, one of the main priorities was finding homes where one could reside and in a short matter of time be able to continue one’s activities. The autumn of 1981, the place where my twin sister, Tayyebeh, was staying was discovered and the regime’s agents raided her house. They arrested Tayyebeh in an intersection nearby and transferred her directly to the Evin Prison. I did not know about her arrest as it was not possible to stay together in one place due to deteriorating security conditions. Eventually, on February 20, 1982, the agents contacted my mother and aunt and told them to present themselves at jail in order to collect her belongings. And that is how we were informed of her execution. Tayyebeh’s execution was very difficult for my father such that in a matter of few months after this bitter event, he passed away as a result of a stroke. My father was a very affectionate and empathic man who considered his children as all his life. One of Tayebeh’s cellmates shared a memory of her which I always hang on to dearly. I was told that Tayebeh had been nicknamed, the smiling girl in jail because she never ceased to smile despite the harsh and painful conditions, even after having gone through interrogation and torture, the smile never disappeared from her lips; the smiling girl remained resolute and hopeful throughout all adversities. Tayebeh’s arrest was not unique to just our family alone. During the same period, my cousins were also arrested. Fatemeh Samimi Motlagh, 24, and Zahra Samimi Motlagh, 26, both graduates of economics, were taken to Evin as well and executed in the winter of that same year; Fatemeh on February 10 and Zahra on December 27, 1981. Parvin, another one of my sisters was arrested in the same year. The agents were suspicious of her and had stopped her on the street and after some questioning, took her to Evin prison where she was imprisoned for two and a half years, and finally executed in Evin in 1984. Truth was that our family experienced very harsh and painful conditions in the beginning of the 80s. We truly felt the pain and pressure from the Velayat-e-Faqih dictatorship. There were clearly two paths ahead of us: either to bear the grief and give in to the pain of losing our loved ones and assume silence against dictatorship or to stand up in its face by joining the Resistance and being at the forefront of this great battle. For me, as a survivor of this family, the only acceptable option was the second one! My conscience, my wishes and promises, and the memories I had with each one of my loved ones, all directed me to the same path. 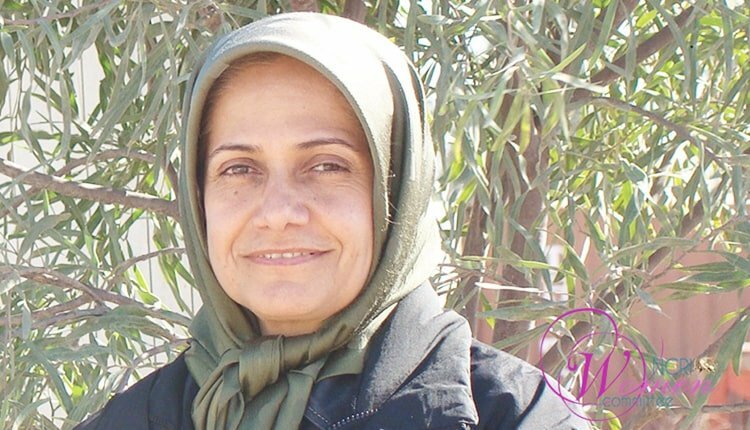 I was arrested in 1990 with the suspicion of having links with the organization, and I was detained for 15 days in solitary confinement in Tehran’s detention center after which, in September 2000, I finally succeeded in leaving Iran for the headquarters of the Resistance in Ashraf, Iraq. It has been 18 years from then. I could briefly summarize these past 18 years as follows: There were no choices other than Resistance to freedom, the only answer to all those sacrifices I witnessed and experienced. Today, satisfied by such an honor, I am the heir of the beautiful smile of that smiling girl, reflecting her calm and certainty everywhere. The Shah’s secret police, SAVAK, arrested and imprisoned Hojatollah Jabbarianha in 1974. Until 1977, he was detained in Qasr, Gohardasht, and Evin prisons and in 1981, he was arrested during raids by Khomeini’s repressive agents and locked away in jail until his execution in 1984.